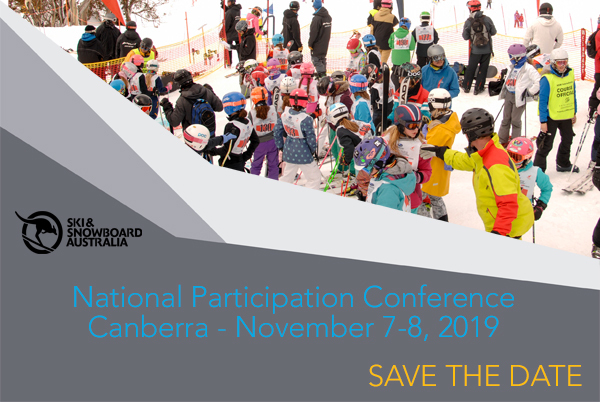 The SSA National Participation Conference - Canberra - Thursday 7th + Friday 8th November is a major initiative in 2019. Throughout 2018, a small working group has developed the Conference program and objectives. The National Participation Conference will see over 100 School Coordinators – SSA Representatives – Resorts – Clubs - Officials come together in Canberra for a 2-day Conference focussed on Snowsports Participation & Development priorities, Interschools Snowsports Workshops, National Sports & Education directions, and Snowsports Pathway Developments. This conference will be held at QT-Canberra, located in the inner city at New Acton. The preferred location of Canberra, as the Nation’s capital, rather than a State capital, is a symbolic message to our National Snowsports Community. The conference will be a mix of key-notes from Sports & Education Leaders, small-group presentations from Sports Experts, small-group discussions on specific Interschools & Participation directions, and panel-style Q & A sessions. Registration details will be forwarded to School Coordinators & Principals toward the end of Term 1, 2019 (early April).